Our drag and drop interface is a joy to use. Reviewers are going crazy over this one feature alone. Monitor and edit your campaigns instantly from anywhere you can get online. Even the greenest newbie can set up a campaign in minutes. Add countdown timers, polls, social media buttons and other interactive elements to your campaigns. Easily boost conversion rates and segment your audience with our powerful and intelligent multi-step campaigns. Everything is translatable - Lead Capture will work no matter where you or your audience live. 100s of jaw dropping templates. Customise in seconds with your own images or any from our library. 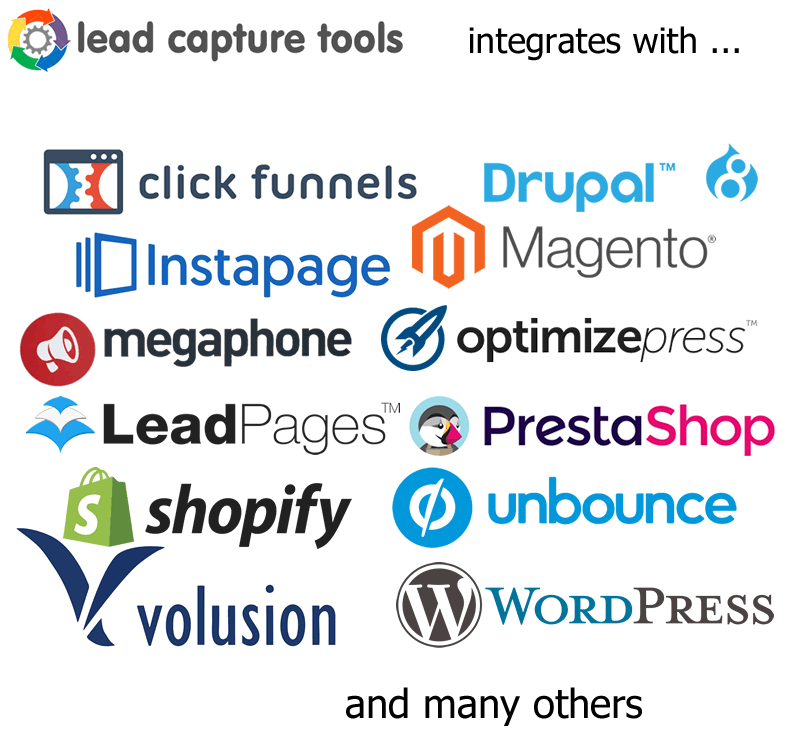 Instantly feed your leads into your mailing lists. 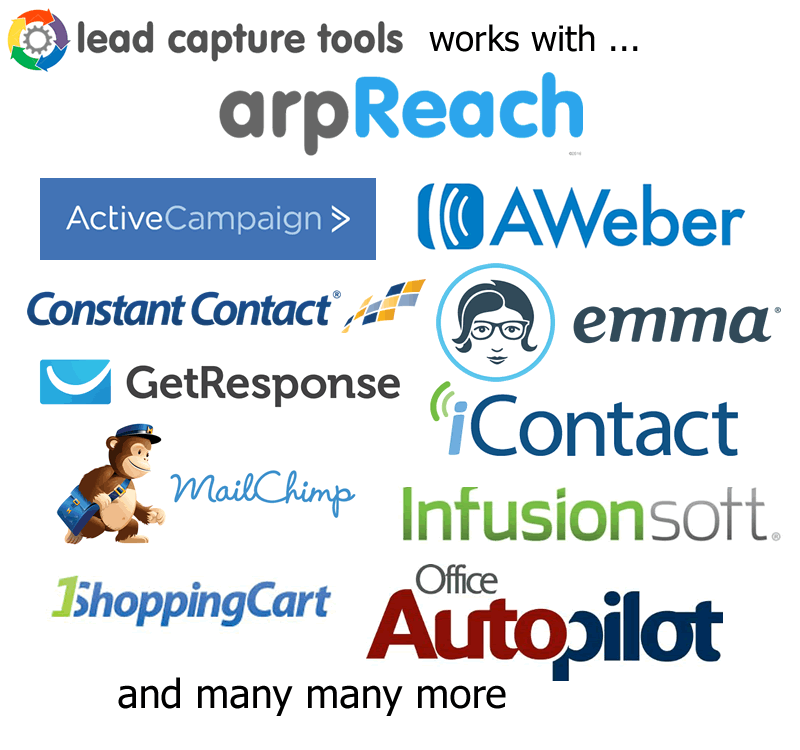 Lead Capture Tools is integrated with all major autoresponders.